The SBS TV Monday and Tuesday TV series Salaryman Chohanji has won praises from many viewers on its debut. 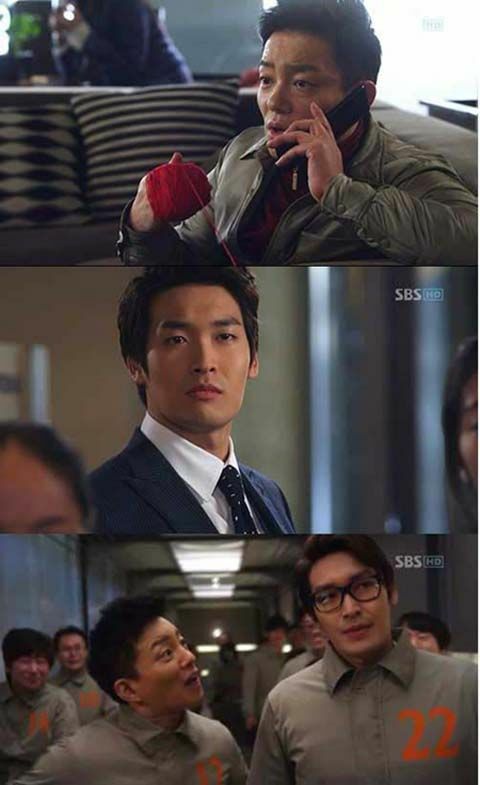 In the episode 1 aired on January 2nd, 2012, Salaryman tells the story of confrontation between Yoo Bang (Lee Bum Soo), a unemployed who is full of tragic memories on employment, and Han Woo (Jung Gyu Woon), who works in a pharmaceutical company and has to crack his head to get hold of new medicine from rival company. Lee Bum Soo and Jung Gyu Woon participated in the Cheonha Group’s clinical trial at the same time, although they have their own intentions, but both persons are working hard to obtain the new drug. They staged a hilarious battle to obtain the drug during the process, where Lee Bum Soo vividly depicted the boredom of working class, , although the Face thoughts but all efforts to obtain drugs. In this process, they staged a spectacle of himself, won the drug war, Lee Bum Soo vividly depicts working-class boredom, winning the approval of viewers. Jung Ryu Won who always appears with trend-setter image is playing the character of Yeo Chi, who is arrogant and full of foul words, staing a completely reverse transformation, adding a lot of splendidness to the drama. Viewers have felt refreshing on the theme that pays equal attention to comedy and horror, and the use of characters in Contention of Chu-Han in Chinese history to describe the plot. In addition, the drama is the new project by production team and actors of 2010’s Giant drama series, making the drama worthwhile to wait. After the drama broadcast its premiere episode, many viewers left message, “I’m fans of Giant, looking forward to the broadcast of new drama, from the first episode has been hilarious,” “Lee Bum Soo is too funny,” I feel that the drama series will popular,” and so on. On the other hand, the rating of first episode of Salaryman Chohanji is 8.7%, the popularity is still soaring.